As an Emerita Professor I am still very busy and for example, I continue to be involved in public toilet issues, both in relation to UK Toilets and globally. To explain, ‘public toilets’ may be defined as comprising both traditional ‘on-street’, local authority public toilets and ‘off-street’ toilets to which the public has right of access, for example in restaurants, shopping malls, and department stores, which, together, are may be defined as ‘away from home toilets’ (Greed, 2003). There is also a vast range of ‘private toilets’ including work place toilets, in shops, offices, and factories; toilets in educational establishments for pupils and students; facilities in leisure, sport, entertainment and leisure facilities; and toilets associated with the transport system, in train stations, bus termini, coach stations and airports. I continue to argue in my ongoing research and publications that public toilets should be seen as a key component of planning policy and practice. But most local planning authorities do not include toilet provision within their urban policies or development plans, and there is no legal requirement to do so, indeed toilet provision is often deemed to be ‘ultra vires’ not a land-use planning matter. But, lack of provision undermines health policies, economic development, social inclusion and environmental sustainability. 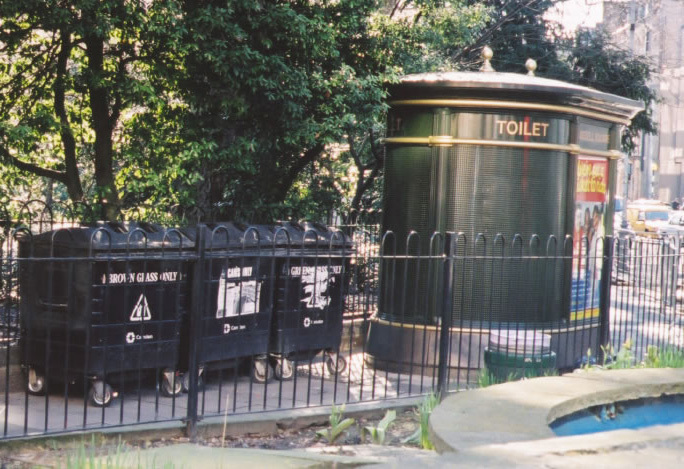 If the government wants to create sustainable cities, and to get people back to public transport, cycling and walking, then adequate public toilets are essential: they are ‘the missing link’. Inadequate toilet provision, undermines people’s mobility and chances of freely accessing and moving around in the city. 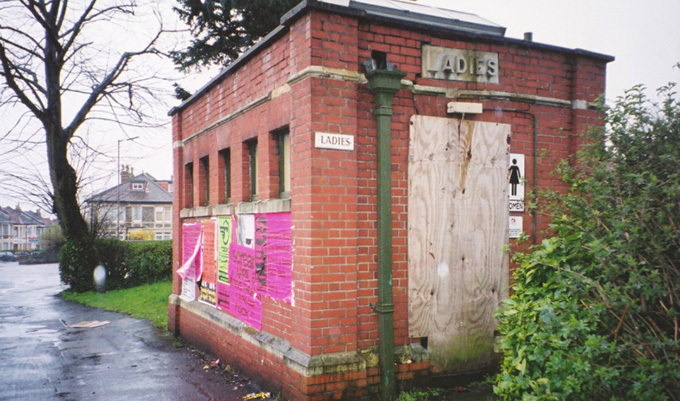 But public toilets are in decline, and some local authorities have closed them all, such as Bristol in 2018. Not only is there lack of provision but historically women have less provision. Unequal toilet provision for women persists, resulting in continuing queues for the Ladies, in spite of improved levels of provision being recommended in the British Standards Guidance on Sanitary Installations (BSI, 2010) , because so few new toilets are being built. Typically women are provided with less than half the provision for men. Even if equal floor space is provided for the women’s and men’s side of the average public toilet block, men are likely to have twice the number of ‘places to pee’ because a whole row of urinals can be provided in the same space where only a few cubicles can be fitted in. Furthermore, women need public toilets more than men, because they have more reasons to use the toilet because of menstruation, menopause and pregnancy in addition to simple urination and defecation (Greed, 2016). Toilet provision is a major issue in many countries, and sanitation is a key priority in the UN SDGs and an important component of our NERC research programme. 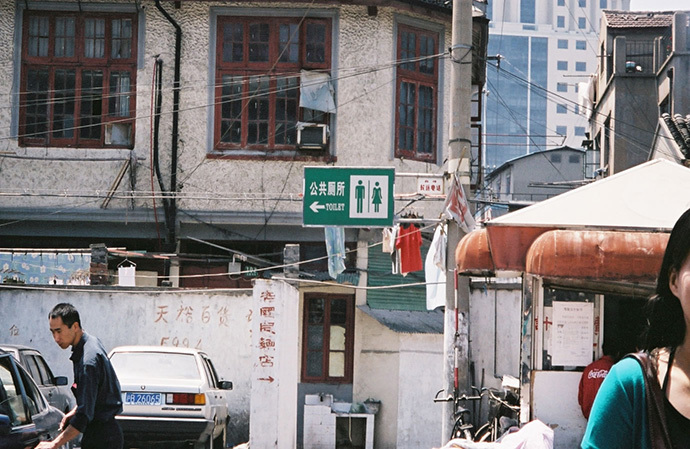 Here in this hutong (neighbourhood) of Shanghai there are local toilets but poor sanitation within homes. 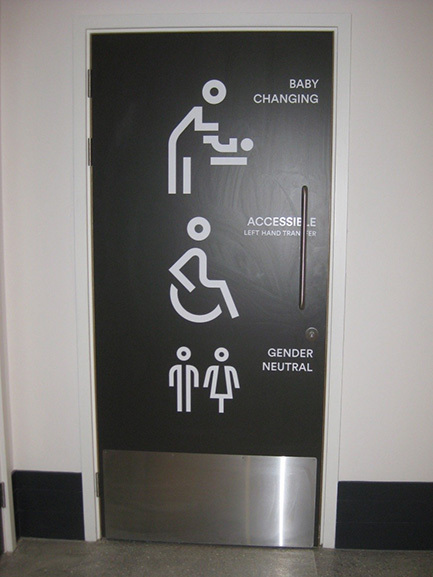 New toilet challenges are arising, particularly the need to include a wide range of types of toilet users, and the introduction of Gender Neutral Toilet facilities, or indeed the desegregation and mixing of existing facilities. Whilst everyone needs a toilet we have argued in recent research that, such changes must not be at the expense of provision for women, who already have fewer facilities, as ‘inclusion can exclude’ (Ramster et al, 2018) . BSI (2010) BS 6465-4:2010Sanitary Installations. Code of practice for the provision of public toilets, London: BSI. By MSc Transport Planning student Marcus Merry…. On the Monday we met outside the castle in Nantes at 10. We milled about the l’office du tourisme, picking up maps, discussing our various experiences of travel and accommodation. I had journeyed to Nantes over four days by train to Plymouth, ferry to Roscoff, and bicycle via the Brest-Nantes Canal, arriving the previous evening at 10pm soaked to the skin. Most others had come by plane. We had a brief look inside the castle grounds. Stephen reminded me that the Plantagenet kings of England hailed from nearby Angers, and I began to regard the fortification with a proprietorial eye. The keep, however, was closed on Mondays. Through the spitting rain we made our way to a monument to slavery, a practice in which Nantes was historically involved. 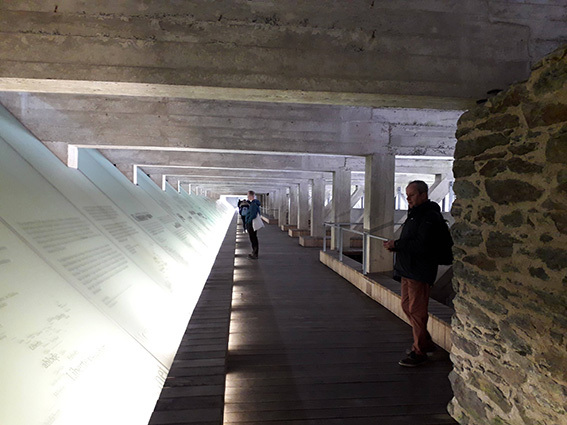 This was actually very interesting: we wandered along a cavernous underground exhibition which visually displayed the origins and destinations of the many millions of slaves transported in the slave trade, the appalling conditions they experienced, and a timeline of laws passed across the world to abolish it. I was shocked to learn that some countries had not abolished slavery until late in the 20th century, and indeed we discussed the extent to which modern slavery continues still. Coming back into the light, we went on to visit the resplendent cathedral then to Vincent Gache on the Ile de Nantes (a large island in the Loire River in the middle of the city). Biblical rain and hail descended as we sheltered in an alcove of a random building. 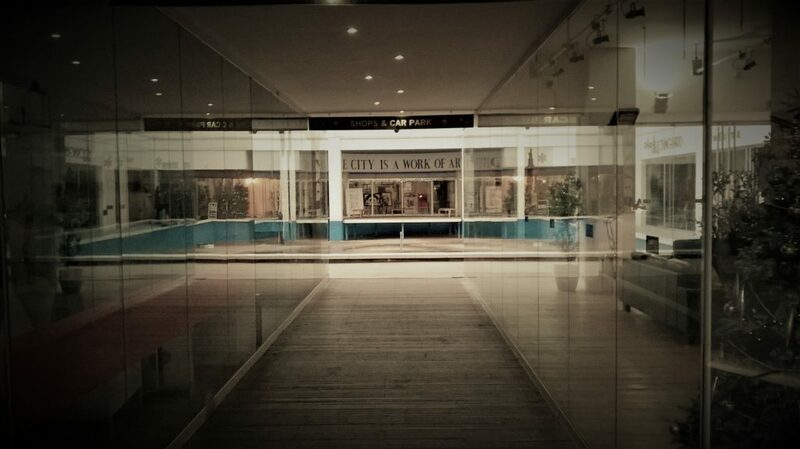 Eventually judging the worst had passed, we walked to the nearby School of Architecture. Here Laurent Devisme gave us an engaging talk. I remember him saying that instead of only focusing on best practice, we should also study failures. As a case in point he referred to a 50-year debate about a new Nantes airport, which had been recently ended in rejection. We went onto the roof, and looked out at the city from the smooth, block-like concrete structure. 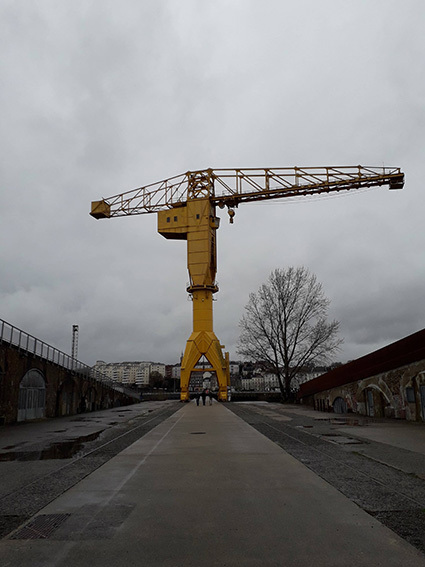 The adjacent quirky buildings and arty local students gave the Ile de Nantes a trendy feel, almost like East London or Berlin. 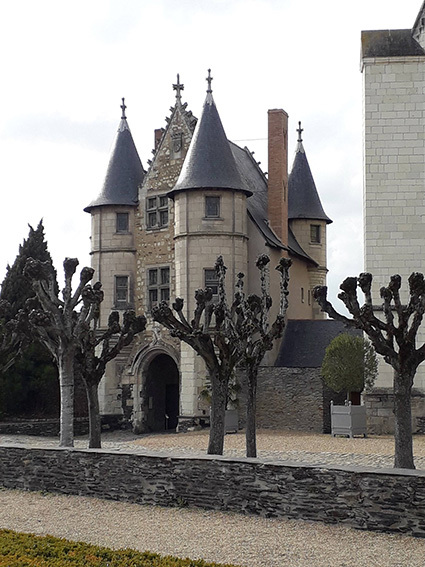 On Tuesday afternoon we took a train to Angers, another city with a decent tram system, where we disaggregated to variously enjoy the local castle, art galleries and cafes. We all met up again by the main theatre, and went for a drink together at a nearby bar. I sampled a glass of a local vin rouge recommended by Stephen, and we headed back to Nantes. I missed the Wednesday morning tour of U-boat pens in St Nazaire (in the rain), instead spending the time searching for a copy of an important cycling map I had managed to drop in the canal on the way from Roscoff. Having successfully procured this at a useful bookshop, I rendezvoused with them in the afternoon at a refurbished warehouse on the Ile de Nantes. Malo Bottani, a local student, gave us a very interesting talk about the area’s post-industrial development, referring to the different strategies and plans presented in the exhibition. I liked the way that the plan for the area was intended to be continually evolving (avoiding a static plan which would become out of date), and that the designers in charge were changed every few years to encourage new influences and perspectives (the current design team was led by landscape architects). That evening I watched Man United beat Paris Saint Germain with a controversial injury-time penalty, in a bar packed with locals. On Thursday we met early to catch a ferry across to Trentmoult, a former fishing village on the south bank of the Loire. We then walked to Cité Radieuse, one of Le Corbusier’s modernist buildings, dating from the 1950s. We crowded into a lift and went to the roof, which was quite a height – the building is still one of the tallest in Nantes. There was a nursery at one end with oddly shaped windows, and a narrow running track (never much used, admitted our guide) sunk into the concrete around the perimeter. From one side there was a view over winding cul-de-sacs of detached houses, contrasting sharply with the high-density block. Given Le Corbusier’s emphasis on light, the puzzle was how apartments looking east or west got light throughout the day; as we stood in the (deliberately) dark corridors, our guide revealed all: the apartments looked out both sides, with one floor running above or below the central ‘street’ corridor; it was very clever. Inside the show flat, the quaint 1950s furniture was preserved. There were rounded portholes for doors, which made one feel faintly sea-sick; most room and fixture dimensions were derived from the 182cm height of an idealised man. In the afternoon Patricia Saraux spoke to us about the WHO Healthy City. In expressive French (translated by our learned professeurs) she described how both physical and mental health is important to enable people to take opportunities in life. Patricia lamented the smoking of local young women in Nantes, which she blamed for their poor ranking on cancer league tables. Beaming, however, she spoke about how horrible it had been made for cars to be driven into the centre of the city. I reflected that their plans for shared spaces for cyclists and pedestrians could become problematic as they strove to increase cycling levels; echoing in my head I could hear John Parkin’s pronouncement, that cycle routes must be designed for speed. 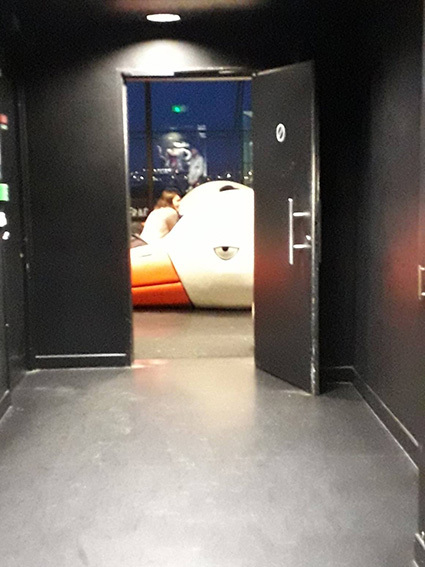 In the evening we met in a bar at the top of the tallest building in Nantes, which offered stunning views, cocktails, and, arranged about the floor, giant lounging soft-toy birds (with children clambering over them) and broken-eggshell seating. After some refreshment we repaired to a crepe restaurant, where I had a pomme gallette and shared a large flagon of cidre with my neighbouring diners. Thence to a nightclub opposite, where I demonstrated my prowess at table football, had some excellent conversations about Bristol’s urban sustainability, and attempted some dancing, before quietly making my exit. On the final day, Friday, we met at a tram stop near the castle. We went west to the Grande Bellevue estate, where Pauline Cottier and colleague gave us an open-air talk about urban renewal. Many of the modernist, inward-facing 1950s blocks were boarded up and due for demolition, to make way for improved units, and they spoke of the importance of concentrating retail to ensure viable places were created. 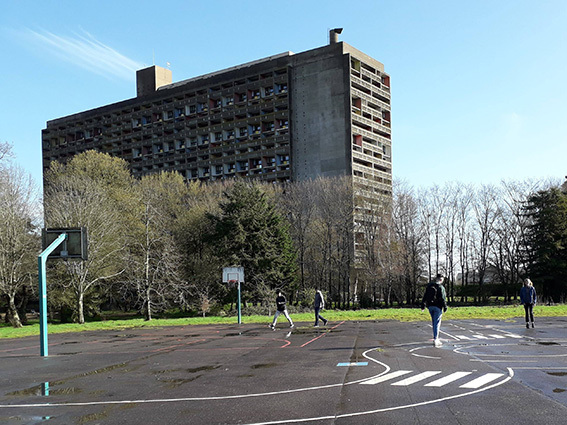 The original design of the estate contributed to the area’s social problems, and Le Corbusier’s work (which we had viewed on Thursday) could be seen as influencing this somewhat inhuman design. Stephen, however, noted that Le Corbusier cannot be completely blamed, as such estates were constructed at low-spec compared with what he would have prescribed. Then we went our separate ways. I retrieved my bike from the hotel car park, hitched up my bags, tightened my brakes, and began my 3-day journey – via Rennes and St. Malo – back to England. In the Town and Country Planning Association (TCPA) Journal this month (February 2019, Vol.88, No.2) there are two articles concerning planning education and the profession. The first, by Gavin Parker and Emma Street, asks searching questions concerning planning competencies and the future implications for skills, professional bodies, planning education, training, and lifelong learning. The second, by Hannah Hickman, Katie McClymont, and Adam Sheppard, considers the challenge of translating the motivations and aspirations of planning students into current practice realities today. Both articles, alongside the outputs of other authors, practitioners, and academics in recent years, point to a wider narrative of challenge for planning today, and planning in the future. The current challenges facing an evolving profession and industry are far reaching and pose interesting questions; in the extreme, is planning staring into an abyss? Localism, a noble venture with enormous potential, finds itself frequently under-resourced and creating a stark new reality of planning; how does one operate effectively in a local authority area with 50 or 100 Neighbourhood Plans? And how will that picture look in 10 or 20 years’ time? The use of Prior Approval, particularly in relation to residential conversions, creates a scenario where developments with significant issues such that they would otherwise struggle to achieve permission by virtue of everything from design quality to locational factors, are able to bypass due process in the interests of the ‘greater goal’ of housing numbers delivery. I for one struggle greatly, not only with the high cost that is accepted here, but also with the worrying signals for the future of the regulatory construct. The 5 year housing land supply requirement is easy to rationalise too, but the challenge of meeting it, and the stark reality for local authority areas without it, creates a further environment of challenge. The list goes on. And with it comes frustration, despair, and sadness for all of us who believe so strongly in a profession with such potential to be constructive, positive, creative, innovative, impactful, just, equitable, progressive, and inclusive. How can planning address the current local, national, and global challenges in such a context? Particularly with the added dimension of ongoing austerity. It is easy to regress into process, into conflict, and indeed into despair and perhaps even apathy. The current discussions concerning the future of planning, including notably the TCPA Raynsford Review (https://www.tcpa.org.uk/Handlers/Download.ashx?IDMF=30864427-d8dc-4b0b-88ed-c6e0f08c0edd), are therefore critical. These are zeitgeist discussions of great importance. Now is the time to shout loudly, to challenge the status quo, to question, to push back. To quote the late Bull Pullman in the blockbuster ‘Independence Day’, presumably referencing Dylan Thomas, “We will not go quietly into the night”. Sharing a vision for high quality green infrastructure..
Organised by our own Hannah Hickman and Sarah O’Driscoll (Bristol City Council), the inaugural joint Bristol City Council – UWE Centre for Sustainable Planning and Environments (SPE) Symposium on Green and Blue Infrastructure took place at Bristol City Council’s Cash Hall on Monday 11th February. This provided an excellent opportunity for planners and researchers to come together to share policy and practice experience relating to the delivery of high-quality green infrastructure (GI). First up was Bristol City Council’s Richard Goldthorpe, from the City Design Team. Richard focused on “Policy towards delivery” and highlighted some of the gaps and new developments in place-shaping policy. Richard introduced the need for a West of England Green Infrastructure Plan to bridge between the West of England Joint Spatial Plan (JSP) and the Bristol Local Plan. 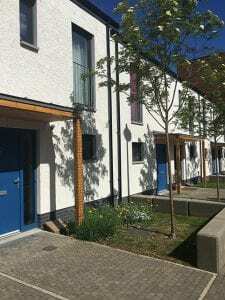 The JSP will set out a prospectus for sustainable growth to help the combined authority meet its housing and transport needs for the next 20 years, to 2036. He also emphasised the need for the Local Plan to link to the provision and design of specific parks and green spaces. Richard closed by emphasising the need for good research data to inform GI policy and delivery. Next on the floor were Liz Kinsey (South Gloucestershire Council) and Kathy Derrick (Bristol City Council) who introduced “The Frome Reconnected” a collaborative project focusing on future-proofing the river Frome, involving Wessex Water, the Environment Agency, South Gloucestershire Council and Bristol City Council. 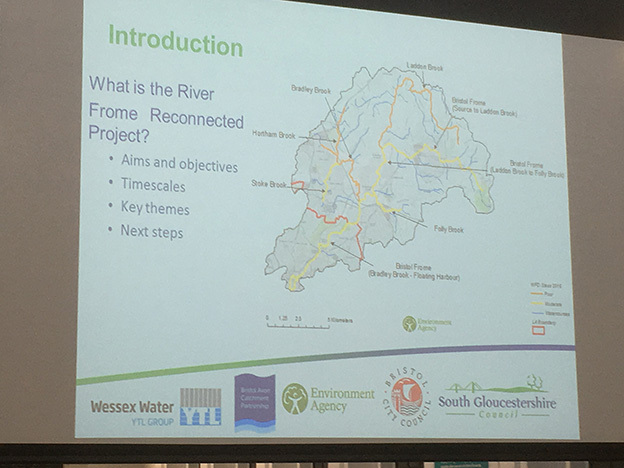 They described the specific challenges facing the Frome and its catchment: urbanisation and an increase in impermeable surfaces increasing flood risk; diffuse pollution; heavily modified sections involving culverts and restrictive fish barriers and fragmented habitats. Possible positive strategies to address these challenges included river restoration to facilitate fish passage, with an increasing focus on health, recreation and the possibility of introducing green prescribing activities on the Frome. 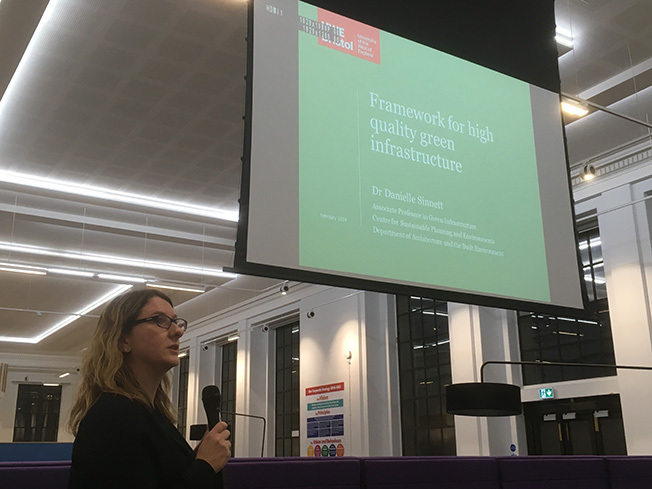 Our own Associate Professor Danni Sinnett was the next to present the framework that underpins the RTPI award-winning “Building with Nature: a national benchmark for green infrastructure”. https://www.buildingwithnature.org.uk/. This was developed through a Knowledge Transfer Partnership with Gloucestershire Wildlife Trust funded by Innovate UK and the Natural Environment Research Council. Danni explained how developers’ and policymakers’ lack of understanding of the characteristics of high-quality GI had driven the development of the benchmark. She went forward to explain how the framework can be used to deliver high quality GI, setting out the core principles, (distinguishing a GI approach from a more conventional green space approach), and those focused on achieving benefits for health and well-being, water management and nature conservation. 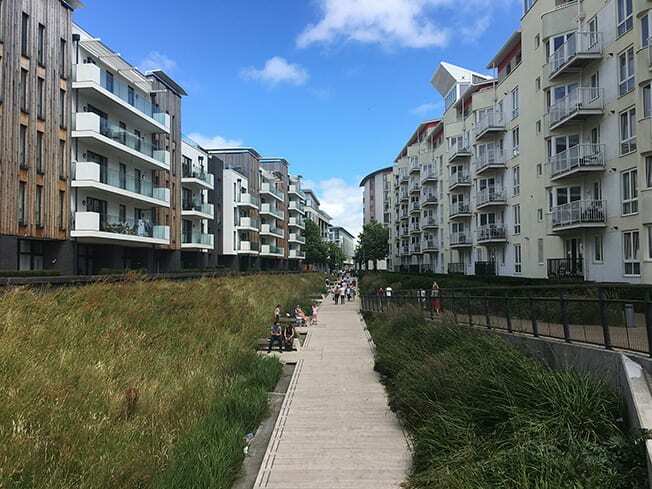 Danni highlighted specific case study projects including Elderberry Walk, awarded a Building with Nature Design Award for the entire Masterplan for 161 new homes on a brownfield site in Bristol, and Gloucester Services on the M5 motorway. The services (both N and S-bound) incorporate an outdoor picnic area, play facilities and habitat provision. 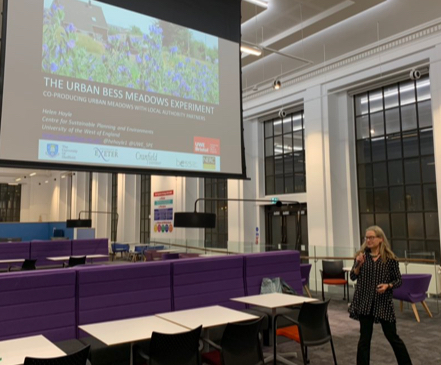 The final presentation by Dr Helen Hoyle (SPE) focused on co-producing urban meadows in green spaces with local authority land-managers in Bedfordshire. This was part of a larger Natural Environment Research Council-funded research project, Urban BESS http://bess-urban.group.shef.ac.uk/ (Biodiversity and Ecosystem Service Sustainability). 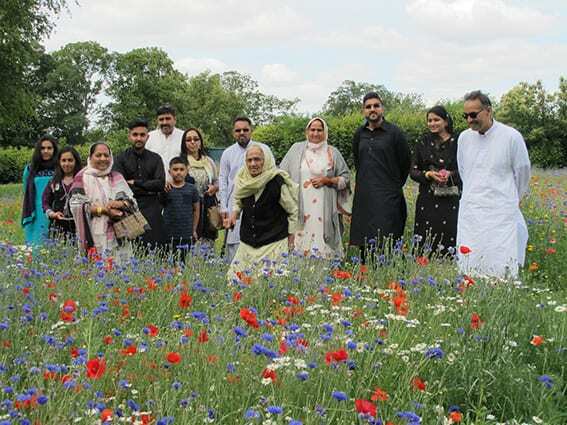 Researchers from the University of Sheffield and Cranfield University introduced native perennial meadows of different floral content and heights to areas of amenity mown grassland in contrasting urban contexts in Luton and Bedford. This was done to gauge public reaction and invertebrate response to increasing biodiversity on the sites. Helen worked in the bridging role between researchers and practitioners on the ground and reported on research focusing on the land-manager perceptions of the challenges and opportunities of making such changes. 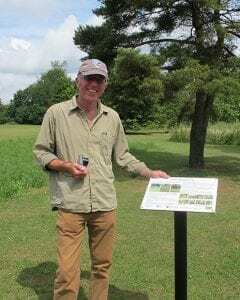 https://www.sciencedirect.com/science/article/pii/S1618866716305489 Findings highlighted the key factors as: Economic resources; Aesthetics, or the appearance of the meadows, and specific Locational context. Land-managers were aware that introducing floral meadows could make some areas of green space much more attractive for the public. Nevertheless, disposing of meadow cuttings at the end of the growing season was expensive, currently ruling out the possibility of introducing meadows as a cheaper management approach than mown grass. They were also aware that although many people now accept messier urban planting, there were still those who prioritised tidiness directly outside the front of their homes. 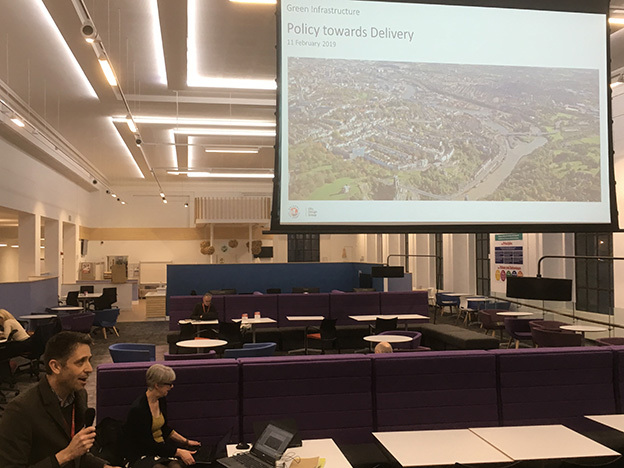 Watch this space for news on the next joint Bristol City Council – UWE Centre for Sustainable Planning and Environments Symposium. Laurence Carmichael (Head, WHOCC), Carl Petrokofsky (PHE), Elena Marco (Head, Department of Architecture and Built Environment), Michael Chang (TCPA/PHE), Helen Hoyle (Senior Lecturer in Healthy Built Environments), Rachael Marsh (Public Health Registrar), Liz Green (PHW), Paul Olomolaiye (Pro-Vice Chancellor and Executive Dean, Faculty of Environment and Technology), Louis Rice (Senior Lecturer in Architecture), Aude Bicquelet-Lock (RTPI) and Mark Drane (PhD student and architect). Michael Chang HMFPH, CMRTPI, MCMI (Lead on healthy Places at Town and Country Planning Association, recently appointed project manager to the Healthy Places team, Public Health England). In addition, the WHOCC has recently welcomed Public Health Specialty Registrar Dr Rachael Marsh MFPH as a Public Health Practitioner in residence, who will contribute to WHOCC projects in collaboration with South Gloucestershire Council in 2019. At the core of the next phase of work is cross fertilisation with these key organisations in the field. Synergy between the new partners and creation of a shared knowledge base is an important aspect of future WHOCC activities to support the delivery of the Sustainable Development Goals, in particular SDG11 and support phase VII (2019-2024) of the WHO Healthy Cities programme. A meeting took place recently at UWE, Bristol to consider opportunities in joint research and capacity building. Projects are now under way for instance Health Impact Assessment guidance for planners, contribution to modules and joint publications but other plans considered too on how to best support capacity building in the WHO healthy Cities. 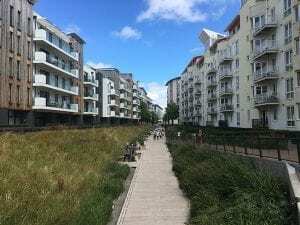 The WHO Collaborating Centre for Healthy Urban Environments (WHOCC) at UWE Bristol is part of a network of 800 institutions spread in 80 countries and collaborating with various WHO programmes. 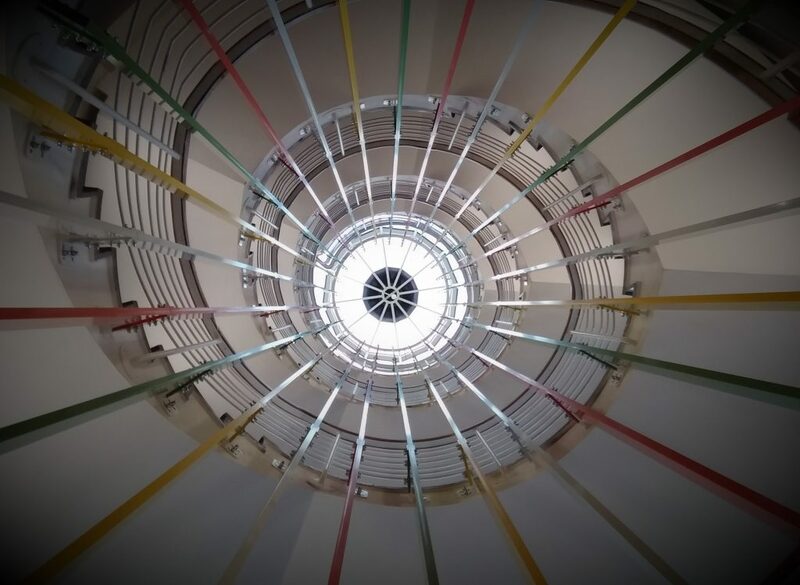 In the UK, it is the only WHOCC out of 58 and embedded in a Department of Architecture and Built Environment with strong links with public health academics and practitioners. As a leading centre of expertise on healthy urban environments, the WHOCC champions health as a fundamental human right and offers an interdisciplinary hub of practice and research. Activities are practically oriented, from interdisciplinary research projects to capacity building of the future generation of practitioners with a focus on environment where people live, work, learn or play, be it at building, street, neighbourhood or city scale. Topics covered by academics associated with the WHOCC range from shaping sustainable neighbourhoods, improving air quality in urban centres, promoting active travel and sustainable local food systems, policy formulation to mainstream health within urban and transport planning. The synergy between environmental and human health and of social and cultural conditions needed for populations to thrive has also emerged as a core thinking in recent years. Over the past four years, our international work has included supporting the WHO/UNECE Environment and Health Process: (http://www.euro.who.int/data/assets/pdffile/0020/341615/bookletdef.pdf?ua=1). Nationally, the WHOCC briefed the House of Lords Select Committee before its enquiry resulting in the Building Better Places report: (https://publications.parliament.uk/pa/ld201516/ldselect/ldbuilt/100/100.pdf ). Members of our team have given oral evidence to parliamentary enquiries and supported the NHS England Healthy New Towns programme since its inception. UWE WHOCC academics have also developed practice-friendly tools assisting the development process, for instance a spatial planning tool identifying healthy planning features commissioned by Public Health England (www.gov.uk/government/publications/spatial-planning-for-health-evidence-review ) and a green infrastructure benchmark ( www.buildingwithnature.org.uk ) in collaboration with Gloucestershire Wildlife Trust. WHOCC Academics are also regularly asked to take part in project and conference steering and scientific committees and have develop strong regional and local networks, for instance working group on the development of a HIA guidance for planners, community engagement exercises and capacity building supporting local authorities. 2. developing capacity building activities supporting mainstreaming of health in local urban planning and design policies. The WHOCC has also entered a partnership agreement with the Cities and Health Journal to disseminate research findings and good practice in healthy built environment from around the WHO Europe region. Last but not least, WHOCC will play a major steering role in the 2020 AESOP Congress (www.aesop-planning.eu/en_GB/aesop-annual-congress) hosted by the University of the West of England, Bristol, a key event to place health and wellbeing at the core of planners’ agenda and share innovative practice from around the world. 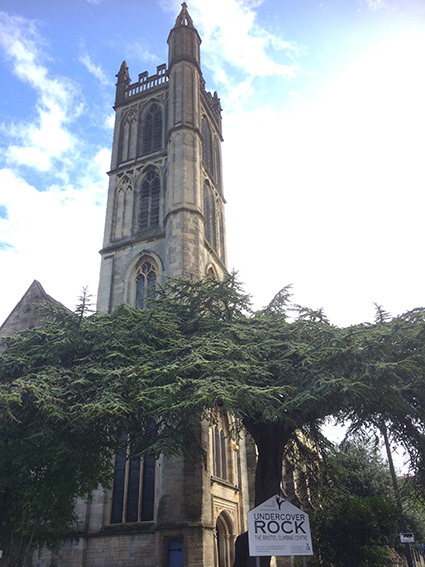 Bristol’s Spires and Spaces: churches, former churches and (municipal) spirituality in the city. Viewed from any of the many excellent vista-points, the skyline city of Bristol, in common with several other UK cities, remains clearly punctuated by the towers, spires and steeples of many buildings which are or have been churches. Here I will document a short journey, using this to reflect on the issues which emerge from the blurring of spatial and conceptual boundaries of ‘public/private’ and ‘secular/sacred’ made apparent by this travelogue. First stop ‘Undercover Rock’- formerly the church of St Werburgh, built 1879. The original church building was moved from a city centre location, when the church there closed, and the area was then named after it. It was closed in 1988, becoming a climbing centre in 1992. 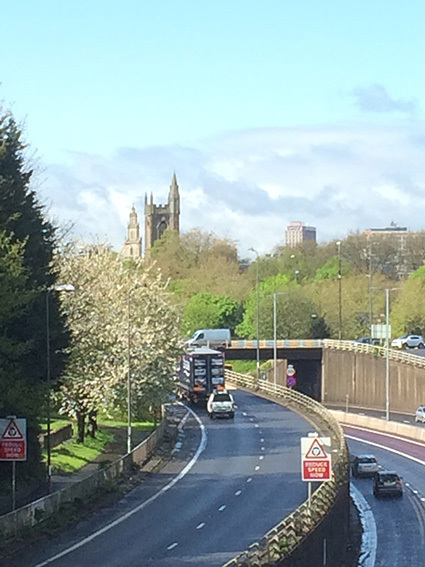 Looking across at the city centre from the bridge over the M32 between junctions 2 and 3, I could see the distinctive tower of St Paul, Portland Square (as well as the spire of the parish church of St Agnes). Also closed in 1988, this remained boarded up and unused until reopening as Circomedia (a circus school and performance space) in 2005. Next stop; St Marks, Easton. The church was closed in 1984 when repairs became too costly, and the parish was merged with a neighbouring one. It is now supported housing run by Supported Independence. Very different from all of the previous three, but somehow especially different from the now private dwellings of St Mark’s, is St Peter’s, Castle Park. The ruined church sits within this city centre greenspace as both a tourist attraction and site for lingering. 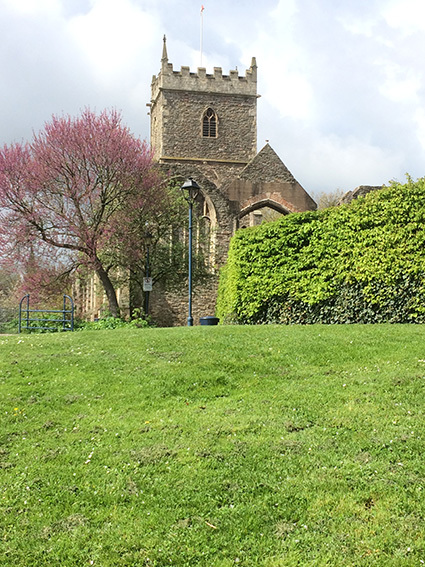 Historic England now suggest that this was Bristol’s first church. Across the other side of the city centre is St James Priory. 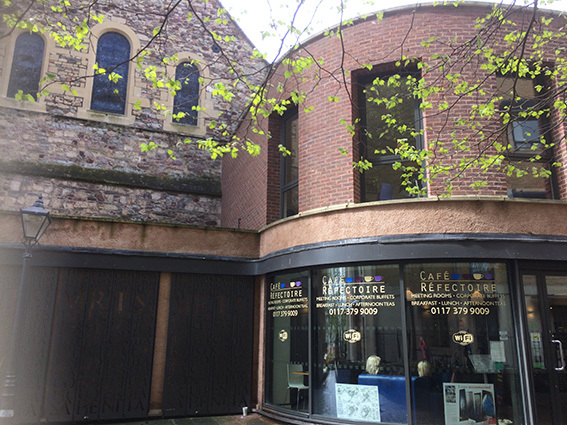 This should not strictly be included as part of this tour, as it is not a former church, rather an existing church which as adapted part of its built form into a café; busy and popular in part because of its proximity to Bristol bus station. 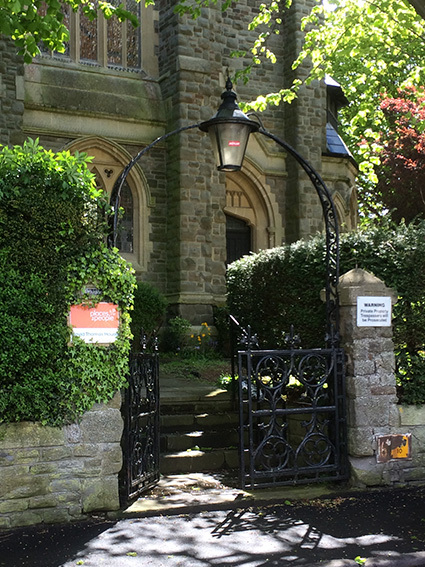 Two other such spaces could have easily been listed on this tour which fulfil the same role: St Stephen’s Church and cafe and Bishopston Baptist Church. The final two former churches are back out of the city centre. 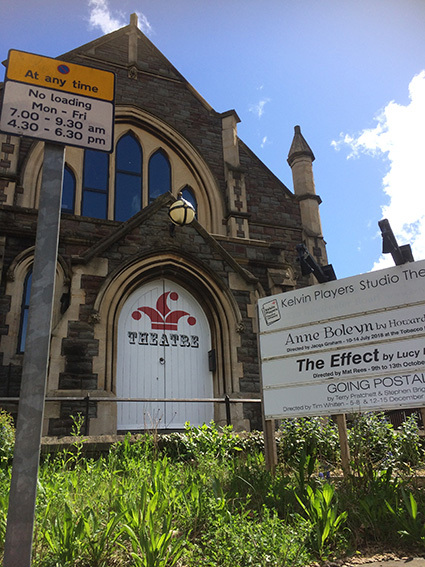 The David Thomas memorial church (closed 1981) is now sheltered social housing and the original chapel of Bishopston Methodist Church is now the Theatre and base of the amateur dramatic group the Kelvin Players. What does the documenting of this journey provide other than a suggested outing in East/Central Bristol? Redundant and reused churches are ubiquitous yet overlooked aspects of the everyday urban landscape, arguably part of symbolic architecture of post-secular urbanism. They raise a series of important issues for thinking about both heritage and public, civic or community space within cities. 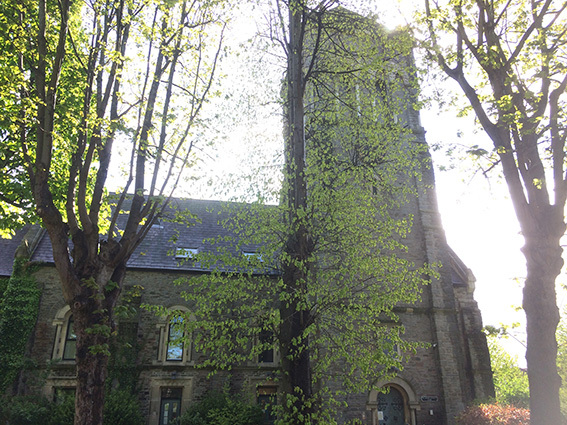 St Mark’s Easton and the David Thomas Memorial Church are now very much private places- residential dwellings (albeit with social purpose as both serve vulnerable communities rather than the mainstream market). Undercover Rock/St Werburgh, Kelvin Players and Circomedia/St Pauls retain partially public presences- anyone wishing to climb or partake in acting or circus activities as spectators or participants can do; for a price. St Peter’s and St James priory are different again, and different from each other. The former is a landscape and visitor feature, city heritage both of ancient origins and the more recent past of the Bristol Blitz. As part of the cityscape, these churches are part of the material presence of the city’s heritage: they are public features. As individual buildings, they place a diverse range of public and private roles. This dual (or multiple) quality blurs simple divides between public and private, sacred and secular. Which conversions or redevelopment are acceptable? To whom? Public opinion, heritage interests and church sensibilities seem largely set against demolition, and strong arguments can be made for promoting their ongoing communal value and use (Jenkins, 2015). Moreover, open churches now host myriad functions: foodbanks, toddler groups, community cafes; Bristol Cathedral is the (grand) setting for UWE’s graduation ceremonies. This mix of use is not necessarily something new, but it goes against conventional understandings of ‘places of worship’ and what activities are contained within the definitions and designations of religion, maybe chiming with the idea of ‘Municipal Spirituality’ (McClymont, 2015). In a context of ongoing austerity leading to the closure of public buildings and assets, and one in which social, religious, class, ethnic and lifestyle differences appear to present an increasingly ruptured society, questions of shared public space become ever more pertinent. The preservation of the built aspects of churches within a cityscape remains largely unquestioned, but the preservation of their social or community function remains largely unasked. My blog this week is on a subject that I’m yet to research professionally, but have thought a lot about in recent years. In my job I spend much of my time reading other people’s research, looking at various book ideas and new publications, perusing conference marketing and so on. One thing I’ve noticed is the growing trend from academics, NGOs and others to label cities worldwide as ‘something-friendly’. That ‘something’ could be ‘child’ (i.e. child-friendly cities), ‘age’, ‘cycle’, ‘disability’, ‘tourist’, ‘dementia’, ‘bike’, ‘autism’, ‘family’, ‘LGBT’, ‘eco’, ‘climate’ or ‘women’. This list is growing, and new city movements, identities and research agendas are being invented all the time. Recent additions I’ve come across are ‘bee-friendly’, ‘vegan-friendly’ and ‘food-truck-friendly’ (yes, really!). And, as an aside, in the USA there seems to be a demand by some for ‘RV-friendly cities’ – with one motoring journalist helpfully warning us to ‘Forget trying to drive a 40-foot diesel pusher through Manhattan’[i]. I digress. Some of these ‘something-friendly’ labels are devised by the tourism industry, seeking to differentiate places and highlight the benefits to certain groups of travellers. 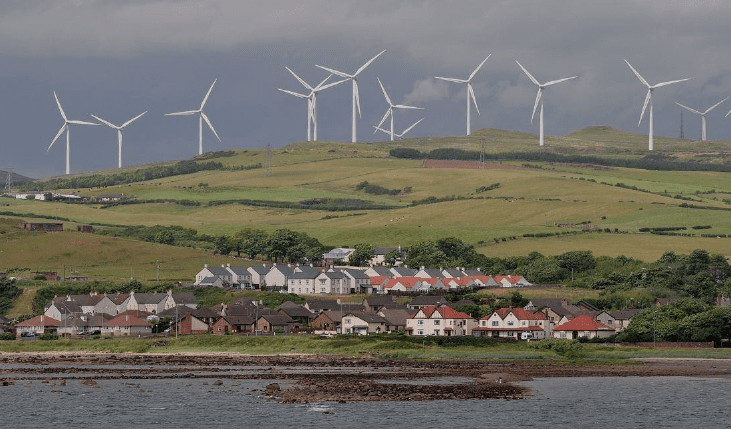 But many are relatively established, serious movements, backed by academic research and with policy clout to improve existing places for certain groups, or to achieve environmental or economic benefits. The majority of these movements have a solid social or environmental rationale, with many seeking to eradicate urban problems such as inaccessibility, poor public health, or exclusion. On the whole, I am positive about these initiatives (well, maybe not the RV-friendly cities) and can see how and why they have grown. Cities are such complex and multi-faceted entities that it makes sense for people and organisations to focus on one thing. Researchers are funded, and rewarded, for specialising. And single-issue politics is also at play here. ‘Cycle-friendly cities’ is a good example of a movement that has pretty clear objectives and is making a real difference. There are cities where sustained pro-cycling strategies have delivered major infrastructure projects that prioritise bikes and support active travel. In other cases, labels such as ‘climate-friendly city’ seem to be given to mark an aspiration for a place – and to help guide the trajectory of future decisions. Again, this seems to be a positive idea, as long as action follows. But deep down I feel uneasy about the narrow focus that these titles imply. As a planner and urban designer I know that all of these ‘friendlies’ need to come together in any given space, in any given city. Who wants a place that is great for cyclists but not for older people? Or a city that works for women but not for bees? As a tourist, does it matter how friendly the visitor facilities are if the residents are living in poverty and have no access to clean water? Our task is to make cities ‘friendly’ for all groups and the environment. We have to understand how to ensure that the same city can be accessible for people with disabilities and support ecosystems and be safe and attractive for families and be beneficial in terms of climate change, and so on. We need help and evidence from different sectors on what works best for them. We need to work with, for example, ecologists, climate scientists, accessibility specialists, transport engineers, sociologists, and health experts. But we must be able to synthesise the evidence, and sometimes make compromises or trade-offs. Then we need to plan and design places that work for us all. So instead of aspiring to ‘Something-friendly’ cities, we should try to make our cities ‘Everything-friendly’ or, as I like to call it, ‘well-planned’. 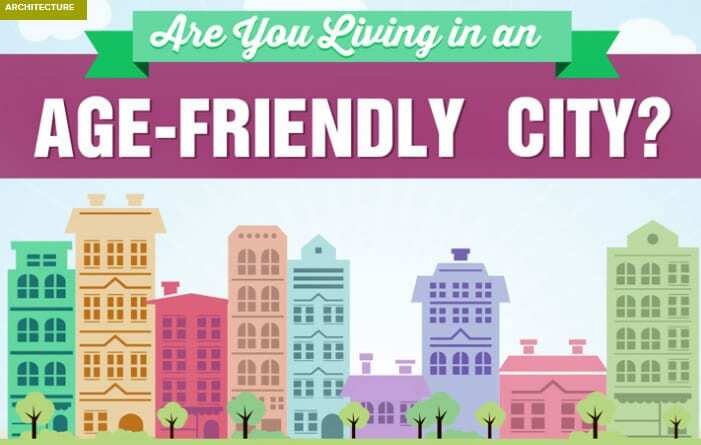 This reminds me: there is also a movement for ‘Friendly cities’, and apparently we all need to head to San Miguel de Allande[ii] in Mexico, to experience the most sociable city on earth! Sounds like a plan for 2019. Globally, more people now live in towns and cities than live in the countryside. With urbanisation projected to increase into the future, and pressure on land for housing, we need to find a way of creating healthy places where both people and nature can thrive. This can be achieved by incorporating high quality green infrastructure into new and existing places. Green infrastructure is a relatively new term that has gained traction in planning over the last 15 years or so, and differs from previous approaches in that the emphasis is on the creation of a coherent network of green and blue features that provide multiple functions, instead of focusing on individual spaces. These components are varied and include, for example greenspaces, parks and playing fields, street trees and landscaping, allotments, private gardens, wetlands, streams and other water bodies, as well as green roofs and walls. A critical function of this network is to provide connectivity within the urban environment and between the urban and rural. There is now a wealth of evidence of the benefits, or so called ecosystem services, that green infrastructure can provide. For example, it can improve health and wellbeing by providing spaces for play, exercise, rest and relaxation, enhance the quality of development, and reduce air and noise pollution. It can also increase our resilience to the consequences of climate change by reducing flood risk and the effects of the urban heat island. Many of these can also save money, including through protecting communities from flooding, reducing ill health and improving quality of life. 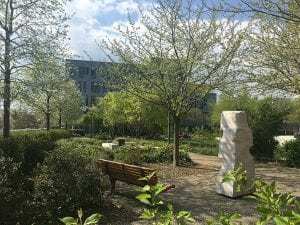 Ultimately, green infrastructure brings nature into the city, overcoming the ‘extinction of experience’ where increased urbanisation coupled with a reduction in time spent outdoors has decreased our contact with nature. Despite all the evidence for green infrastructure and its apparent importance in our quality of life there are significant challenges in its delivery and management. Our research has been examining some of the reasons for this and has found that those working in the planning, design and creation of green infrastructure are struggling. For example, many are still unsure of what green infrastructure is, or should be, due to a combination of a shortfall in resources, knowledge or skills (Sinnett et al., 2017; Calvert et al., in press). In addition, developments often regarded as sustainable do not provide high quality green infrastructure. When we reviewed some of the systems that are used by developers to assess the sustainability of new places and buildings, we found that although many do include some measures of the quality of green features like parks and green roofs they rarely consider these features as a coherent multifunctional network (Calvert et al., in press). This can lead to missed opportunities to protect or enhance the existing green infrastructure or create features as part of new development. A significant challenge is the current uncertainty over funding for long-term maintenance and management, with many local authorities unable to commit to this once construction has finished and people have moved in. 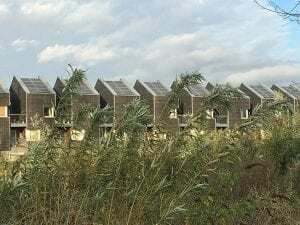 This means there can be a tension between new developments being expected to provide green infrastructure, it being a desirable feature for potential residents, but the funding to manage the assets being precarious or uncertain, particularly over the timescale that vegetation takes to mature. We have used these findings to develop a framework for high quality green infrastructure through a collaborative project with Gloucestershire Wildlife Trust. The framework consists of a set of principles informed by the literature, a review of existing standards for assessing the quality of green infrastructure, and consultation with stakeholders. The framework aims to overcome some of the challenges outlined above, addressing characteristics such as the creation of a network, local relevance and providing for the long-term management, as well as those aimed to deliver benefits for health and well-being, water management and nature conservation. This framework underpins Building with Nature, a new benchmark for green infrastructure (www.buildingwithnature.org.uk). This benchmark has been tested on a suite of planning applications and policies, and initial results are extremely positive. The framework is effective at ensuring a green infrastructure-led approach to new development, clarifying the expectations for green infrastructure early on the development process, and providing a starting point for conversations between stakeholders. We hope to see this approach used to improve the quality of green infrastructure across our towns and cities so that people and nature can flourish. The power of flowers isn’t difficult to appreciate on a cold, grey November afternoon. Vibrant, colourful flowers lift the spirit at any time of year, but probably more so in winter. Research has shown that a gift of flowers can produce a strong emotional response, a true or ‘duchenne’ smile in the recipient (Haviland-Jones et al., 2005). Positive reactions to flowers cross cultures, and my own research in the UK has highlighted a threshold of 27% flower cover, the critical percentage cover needed to produce the ‘wow factor’ (Hoyle et al., 2017). Yet urban meadows are not really meadows. Traditional hay meadows consist of forb (flower) and grass species. They are perennials, flowering every year, and are maintained by animal grazing or an annual hay cut at the end of the growing season. In contrast, urban meadows are deliberately designed. Designed annual meadows flower just once before needing reseeding and don’t contain any grasses. 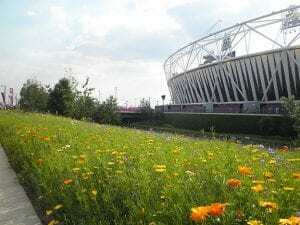 Should we be sowing designed annual or perennial meadows in our urban spaces? Annual meadows have proved popular with the public because the mixes have included vibrant flowers, usually produced by non-native species: Californian poppies or plains coreopsis, for example. These have the advantage that they provide pollen and nectar at the end of the growing season when our UK species have finished flowering, but because they need annual reseeding, they are far less sustainable than perennials. Once perennials have been sown they flower again year after year if maintained by one or two cuts a year. But what sort of meadows do people and invertebrates prefer? Our research showed that in the case of perennial meadows people reacted most positively to moderately tall meadows with high species (and floral) diversity. Insects also preferred the taller highly floral meadows which provided resources such as pollen and nectar and habitat. 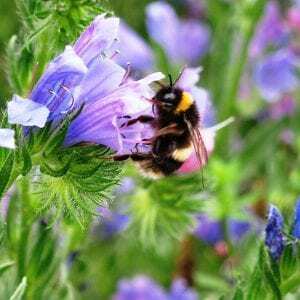 Both people and pollinators reacted particularly positively to the blue Vipers Bugloss (Echium Vulgare) in our perennial mixes. But were these positive reactions to the biodiversity or the colourful aesthetics of the flowers? We conducted a follow-on experiment with annual meadows on a former minigolf site in Wardown Park, Luton. The evidence was conclusive for both people and visible pollinators: colour, rather than species diversity was the driver of preference. But it’s never quite so simple…other, equally important non-pollinating insects responded to species diversity, and were found to be more prolific in the LOW species diversity meadows. Where should we sow meadows? Our research showed that although some people like to see meadows immediately outside their homes, others don’t. 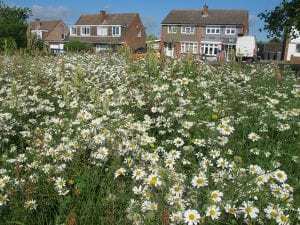 The majority of people we spoke to in Bedford and Luton appreciated seeing perennial meadows in residential areas, yet one described their introduction as ‘a wanton act of vandalism’. The public is really many publics. Our local authority partners thought that many established residents valued ‘tidy’ urban spaces. They observed that the introduction of wilder meadows into new developments had been successful, and had gained support from new residents . Are meadows cheaper to maintain than amenity mown grass? The short answer is – unfortunately not. One argument often put forward in favour of urban meadows is the perceived cost saving in regular mowing of short amenity grass. However, regular mowing might be labour intensive, but the small volume of cuttings generated each time can be left to rot on the surface. In contrast, the annual ‘hay cut’ of a perennial meadow generates a large volume of cuttings. Because this is likely to contain litter, dog excrement and other urban hazards, it is not viable as compost, so local authorities must pay to remove and incinerate it. More research is still needed on the potential to use these cuttings in biogas production…. Why should we celebrate World Town Planning day? Humans have always understood that living together in a group is safer and beneficial to all. First settlements appeared thousands of years ago when people mostly moved by foot, when indoor plumbing was a distant thought and the only source for heat and light was the sun or a fire. We have since developed, “upgraded” our living space and found a way to move around faster, but we still tend to live in close proximity, whether for social, economic, safety or other reasons. Because of the progress in medicine, agriculture and healthy nutrition, urban population has grown to unimaginable heights in the last century (Kötter, 2004) and by 2050 that figure is estimated to rise to 68%. Population growth as well as migration has spurred expansions of the cities which are struggling to provide adequate infrastructure to ever growing urban areas. Cities with more than 10 million inhabitants have even acquired a new term – ‘megacities’ (United Nations, 2018). In this context, it has become more important than ever to make the spaces we live, work in, and share with others, functional, comfortable and safe, for us and for our descendants. This issue called for town planning to become a discipline in its own right over a century ago (Cullingworth and Nadin, 2002). Planning is not only about physical form of an urban area, it also has to consider social and economical aspects of living as well as determine what the quality of that living will be (Taylor, 2006). Town planning is about providing housing and building enough streets; it is also about helping people live as a community, providing them with institutions for education and health care; it is about sustainability and clean air, clean water, green space and much much more. With city populations increasing all over the world it is more important than ever for “plans and planning decisions to rest upon value judgements about what kind of environment it is desirable to create” (Taylor, 2006, p.76). Ideally, the planning of a town should be cost-effective and resource efficient, but should also involve local communities, enhance local areas, and support conservation efforts (Rydin, 2011). Cities are everywhere, in every country, and no matter their history, they all struggle with the same problem: How to provide good quality of life for an increasing number of inhabitants without putting additional strain on the environment. Urban planning takes into consideration a variety of aspects including social cohesion, sustainability and environmental impact. Today this is even more challenging as all those elements need not only to combine in a satisfactory manner but also in a way that foresee future expansion. Therefore, World Town Planning Day is important, and it is a reminder of all that we have achieved so far and what still awaits us in the future. A calm yet authoritative female voice broke through Ada’s thoughts announcing that the pool car she had booked would be arriving in two minutes. “Better get a move on then” Ada said to no one in particular. She was alone in the house, one of the new affordable ‘Homes for Life’ that the local community had campaigned for so vigorously – social capitalism at its best, Ada had often thought. The sunlight made her blink as she stepped outside, just as the car silently approached between two waiting trams. The only sounds she could hear were the crunch of fallen leaves under her feet and the giggling of school children making the short walk to school. It still felt surreal, but Ada was thankful that the car was driverless. She needed to run through her notes for the morning’s presentation – she didn’t have the time for small talk. The car sped through the city, working in silent unison with the other traffic. Ada turned her head from watching the cyclists in the adjacent lane and the numerous yoga classes taking place in the various parks they passed to consult her tablet. She knew from the stories that her mother had told her, the pressure the author was under to play their part in the “developmental movement form the past to the future” (Cullingworth et al., 2014, p.5) and the “delivery of sustainable development to meet the needs of the present without compromising the ability of future generations to do the same” (National Planning Policy Framework, 2018), a concept which was taken for granted nowadays. Not many people appreciated the vital role that planning had in the early 21st century in delivering the society of today or knew of the often much maligned people who helped deliver it. Ada knew, and today she hoped to make them proud. Ada’s mouth was dry as she approached the podium. She could feel everyone’s eyes, some physically within the room, some through monitors, stare at her and the ‘People Who Have Changed The World’ text which was being projected behind her. Although World Town Planning Day may be one of the lesser known days of celebration, with the world of social media more focused on events such as ‘National Leave Work at 4pm Day’ and ‘International Cat Day’ (8th of August 2019, in case you’re interested), it is arguably the most important date on any planning practitioner’s calendar and should be given considerably more attention by the wider public. Planning is an integral part of global history. Versions of town planning as we recognise it today can be traced back to the Roman period (Smith 2007), some 2,000 years ago. The long, developing history of this practice is a testament to its importance and highlights the need for it to be recognised and celebrated. For planners, World Town Planning Day is a time to reflect upon not only the effectiveness of planning strategies locally, but on a global scale. The planning sector has a key role to play in addressing current and critical global challenges, such as housing concerns and climate change. Anyone who reads the news in the UK will know that there is a national housing crisis, albeit to different extents, across the country. However, housing crises also face other countries. For example, Accra, the capital city of Ghana, is also experiencing a housing emergency and has a dire need for affordable housing (Gillespie 2017). Two countries, thousands of miles apart, are united by a common problem. 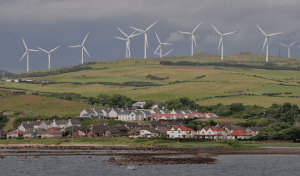 Another issue affecting the global planning sector is climate change. The world’s resources are being stretched and all nations need to play their part in addressing the issue; be that through creating healthier cities or designating space for renewable energy systems, which are themselves interrelated. World Town Planning Day provides the opportunity to collaborate and share knowledge and potential solutions. Talks, podcasts and other media relating to World Town Planning Day are shared online by planning organisations globally, allowing different approaches to these issues to be easily accessible. A united, global approach to sustainability is essential if they are to be addressed. This highlights why this day should be celebrated; to provide a platform for sharing knowledge which might otherwise not be available to planners and the wider public. Perhaps most importantly however, World Town Planning Day celebrates the achievements of planners; big or small. The planning sector is often taken for granted, under-funded and perhaps under-appreciated by the public. It is a day for people to be reminded that the community centre their children play in, the bus or cycle route they take to work, and the park they walk in on the weekend are the results of years of hard work by those in the planning profession. The planning sector shapes the world that we live in and seeks to facilitate the delivery of better places for people. World Town Planning Day should therefore be celebrated to enable the sharing of knowledge, engage the communities it shapes and to honour the contributions of planners across the globe. National Doughnut Day takes place on the first Friday in June every year when the fried toroidal treat is celebrated in Krispy Kreme establishments worldwide. The profession of town planning has its own day too – November 8th. Which event do you think gets more publicity? (hint: it’s the doughnut day.) While we can all appreciate the enjoyment of a doughnut, the idea of celebrating a profession might seem bizarre – but that shouldn’t be the case. Over half of the world’s population now lives in an urban environment (The World Bank, 2017) and that figure is increasing. The role of the urban planner is becoming more relevant to the health and livelihoods of more people every year – as such, I believe that if we can celebrate the doughnut for a day, we owe it to ourselves to celebrate World Town Planning Day too. World Town Planning Day was the brainchild of Carlos María della Paolera, a professor of Urban Planning at the University of Buenos Aires, in 1949 (Royal Town Planning Institute, 2018). Today it is celebrated in 30 countries worldwide and aims to “recognize and promote the role of planning in creating livable communities” (American Planning Association, 2018). The work of planners affects how we live and navigate our lives in towns and cities every day. Consider who planned the road you drive along to work, helped to regenerate your high street, and approved the housing development you live in. One could argue that these developments would have happened anyway without the ‘red tape’ created by the planning system. I argue that without planners, cities would be chaotic. Roads would be a maze of anarchic dirt paths, high streets would consist entirely of multinational corporations, and residential developments would be intermingled amongst sewage outlets and coal power plants. Without planners, we would live in a chaotic dystopia. Through the efforts of planners, we can aim to build cities that provide the conditions for humanity to thrive. Air pollution causes approximately 400,000 premature deaths in the EU every year (European Court of Auditors, 2018) and will take a combined effort between politicians and planners to overcome. Long commute times have been proven to have devastating effects on happiness – “a person with a one-hour commute has to earn 40 per cent more money to be as satisfied with life as someone who walks to the office” (Montgomery, 2013, no page, citing a study by Stutzer and Frey, 2008) – a problem that can be solved through better planning by building housing closer to employment places or transport links. We need urban planners for the future welfare of humanity. Why should we celebrate World Town Planning Day? We need to inspire future generations to build sustainable, healthy cities that can withstand the challenges presented by the billions of people that will soon move into cities. We must share information between nations to solve the coming problems that rapid urbanism will cause. Finally, we owe it to the profession to publicise the benefits that planners have on our lives and wellbeing. Perhaps we should also start giving out doughnuts too.